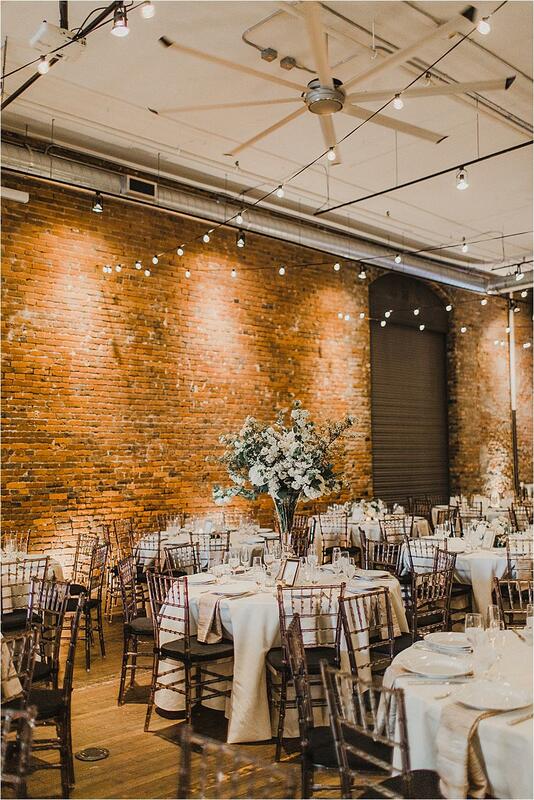 This gorgeous Seattle wedding at AXIS Pioneer Square is a dream. 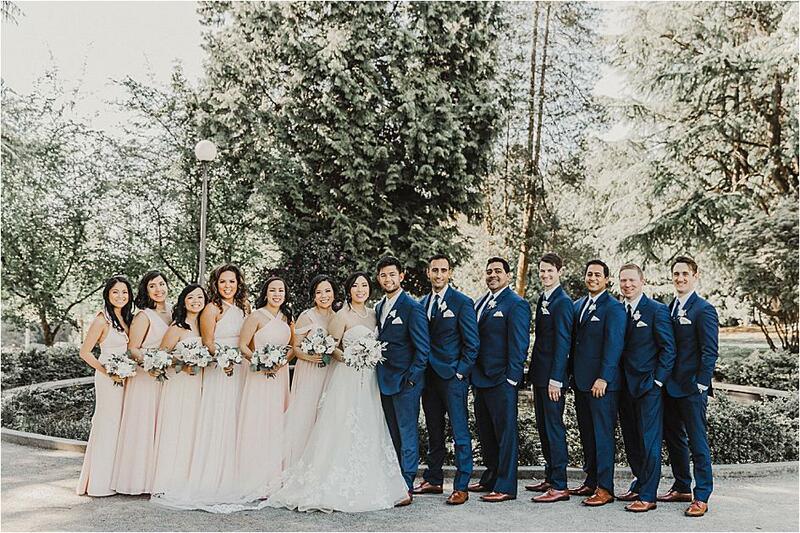 Veronica and Alan's wedding, full of beautiful details and elegant designs, featured a lovely neutral palette complete with pops of blue and blush. 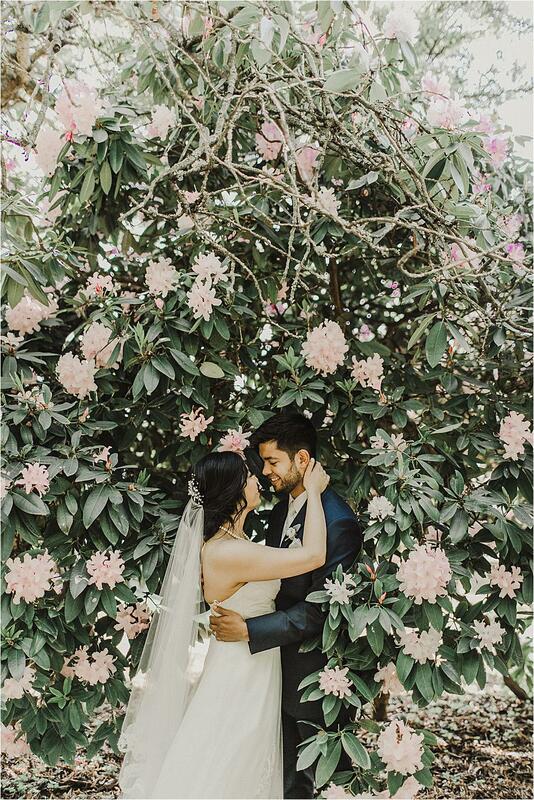 Melanie Benson Floral created an abundance of lovely floral pieces for the wedding, including Veronica's stunning bouquet that perfectly complemented the intricate detailing of her ceremony gown. 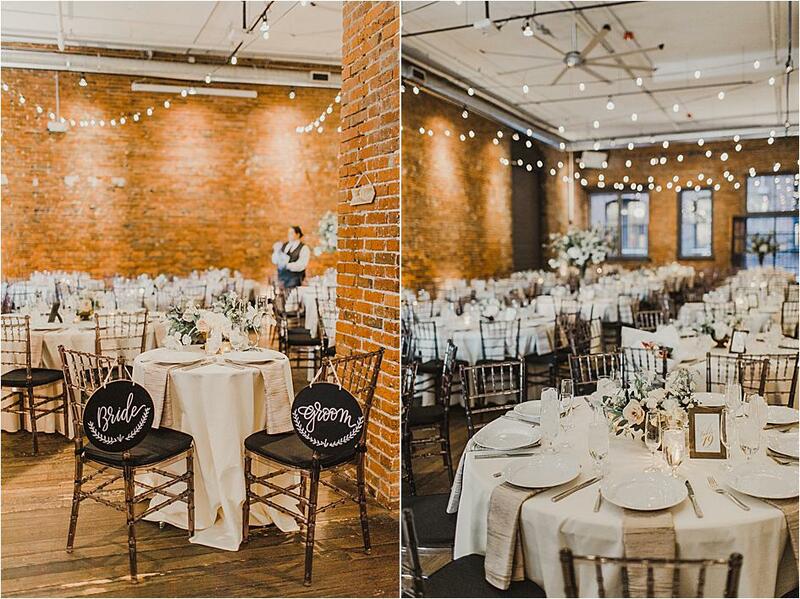 Following the breathtaking church ceremony, guests were invited to a pretty reception space to celebrate the newlyweds. 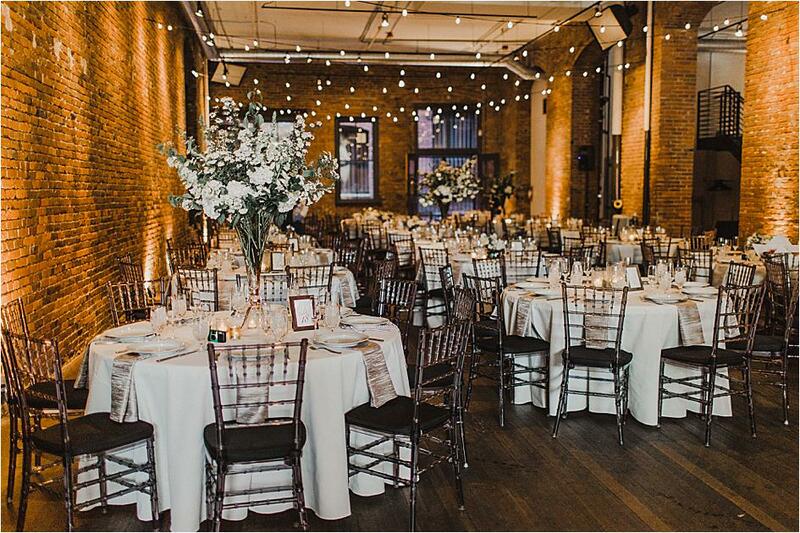 Beautiful tablescapes completed with gorgeous pieces from CORT Party Rental filled the space, and bistro lighting added a romantic feel to the affair. 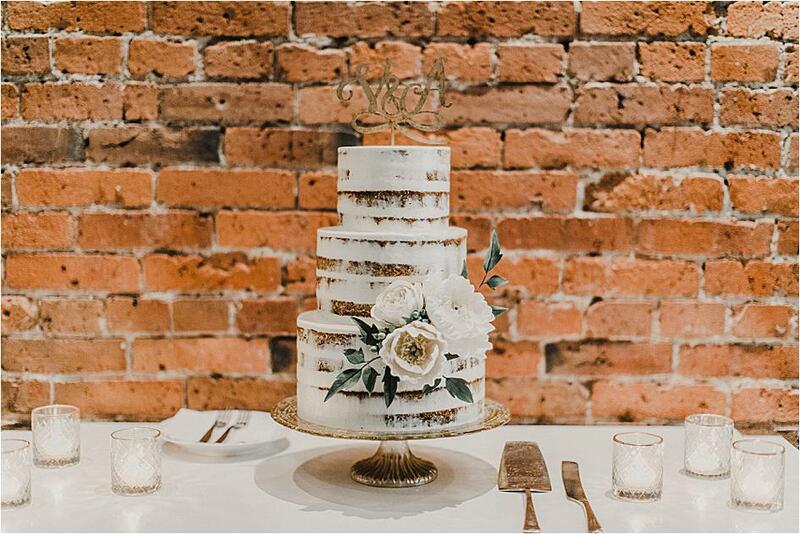 City Catering Company provided a delicious meal for the night and Honey Crumb Cake Studio crafted a beautiful semi-naked cake for dessert. 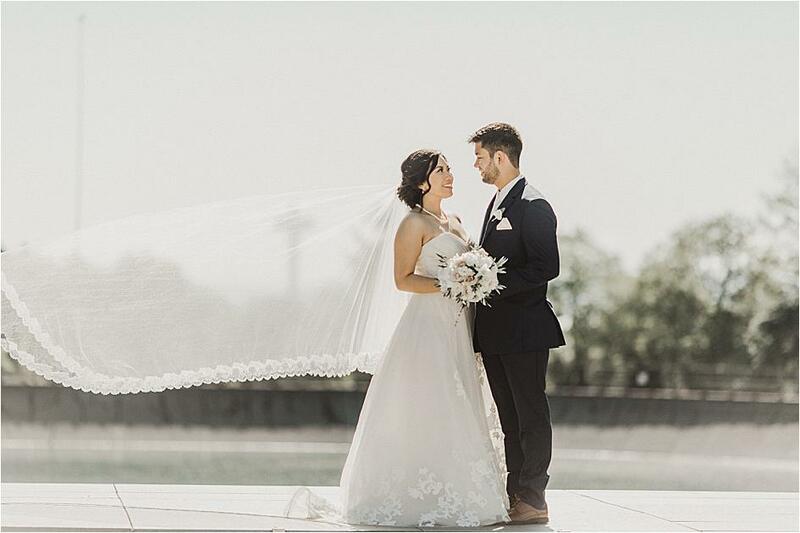 Scroll down below for more beautiful photos from Julie Bulanov Photography. 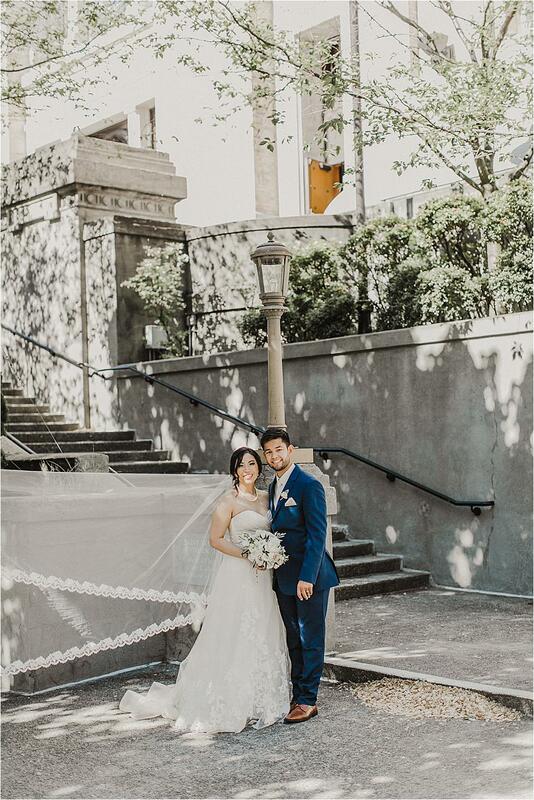 "Veronica and Alan planned their Seattle wedding from Washington DC with the help of Willow & Ivy Events. 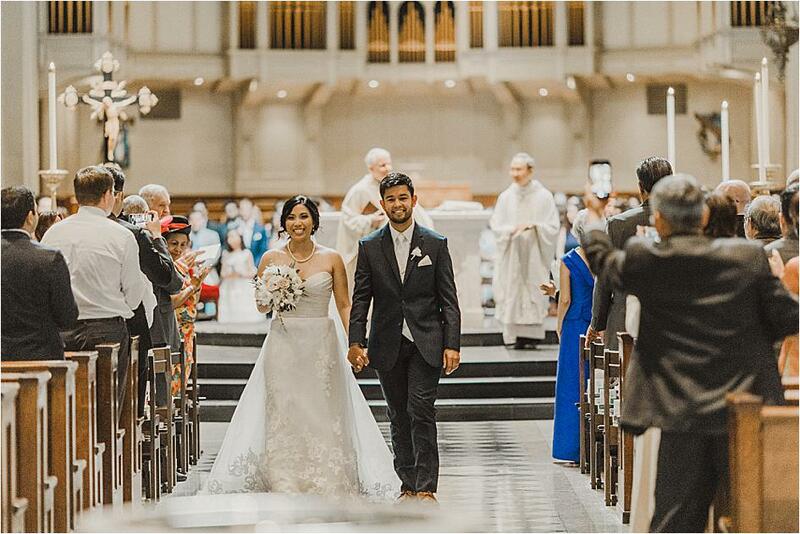 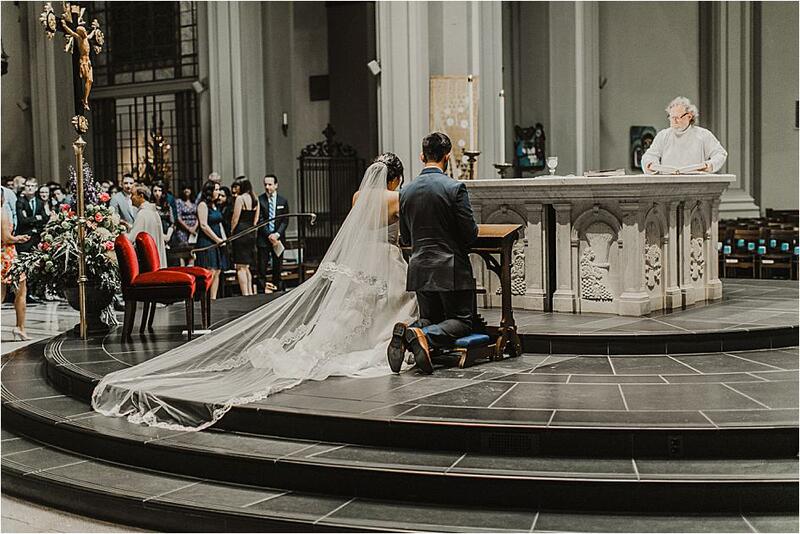 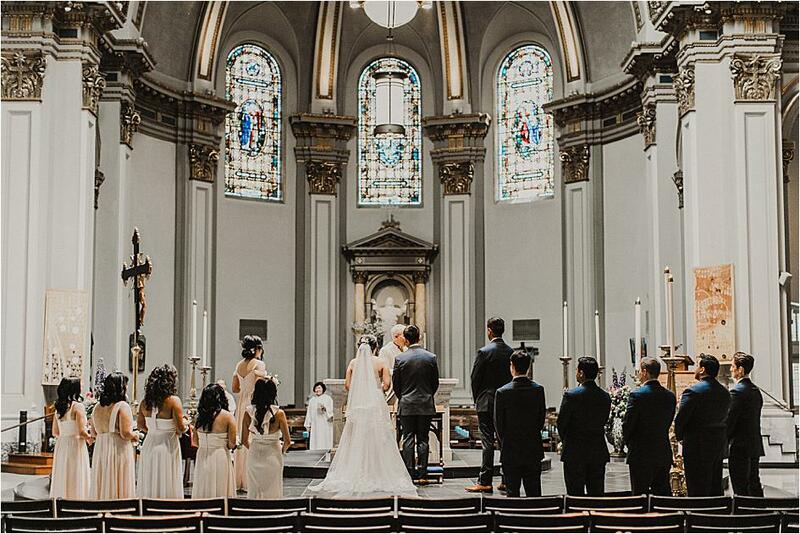 Their ceremony took place at the beautiful St. James Cathedral in Seattle and was followed by a fun filled reception at AXIS Pioneer Square. 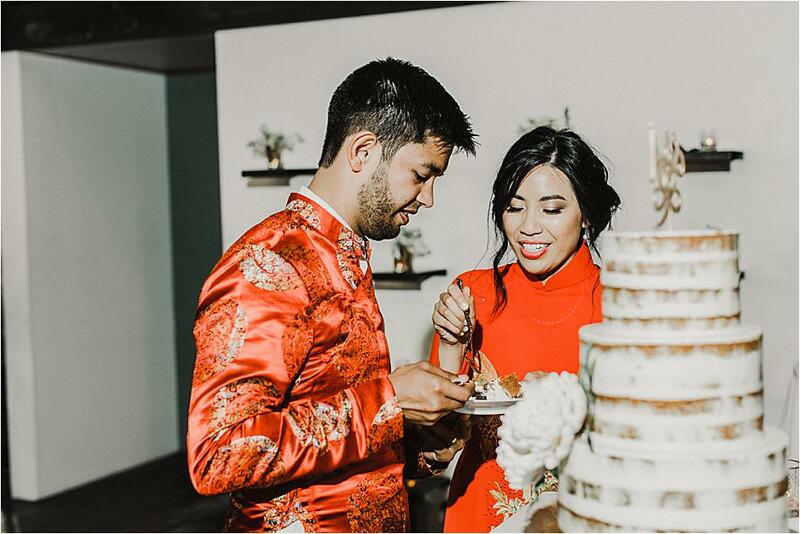 Their gorgeous nearly naked cake featured delicate sugar flowers and their live floral decor was to die for! 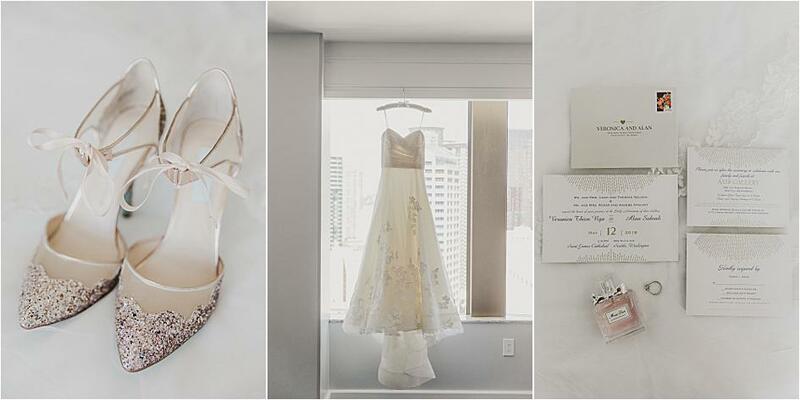 Not only did the bride have one outfit change throughout the night, but she had two! Her ceremony dress was worn through the couple’s choreographed first dance and dinner. 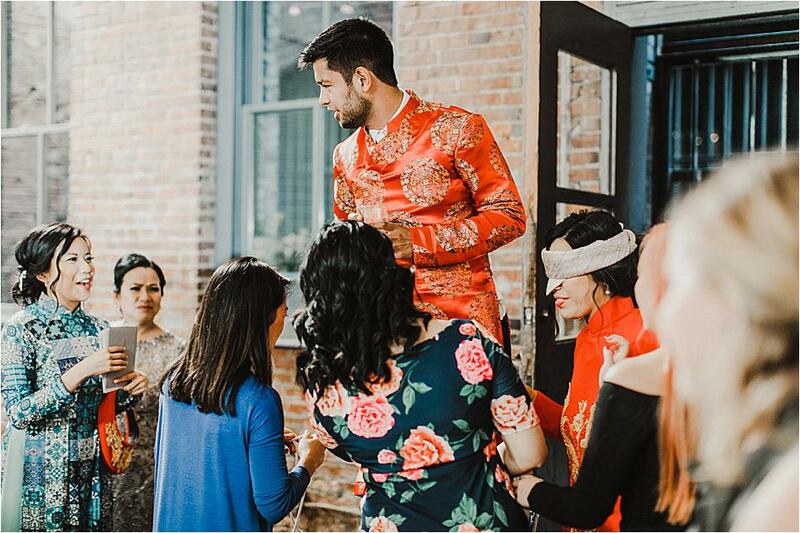 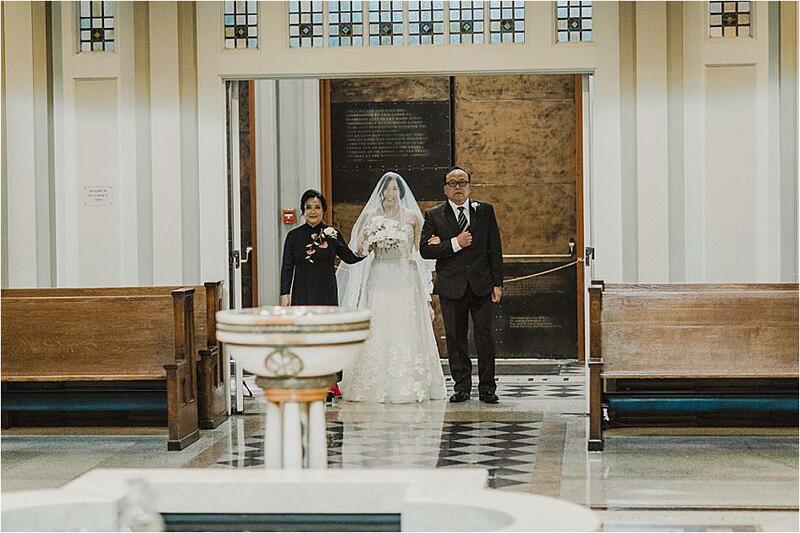 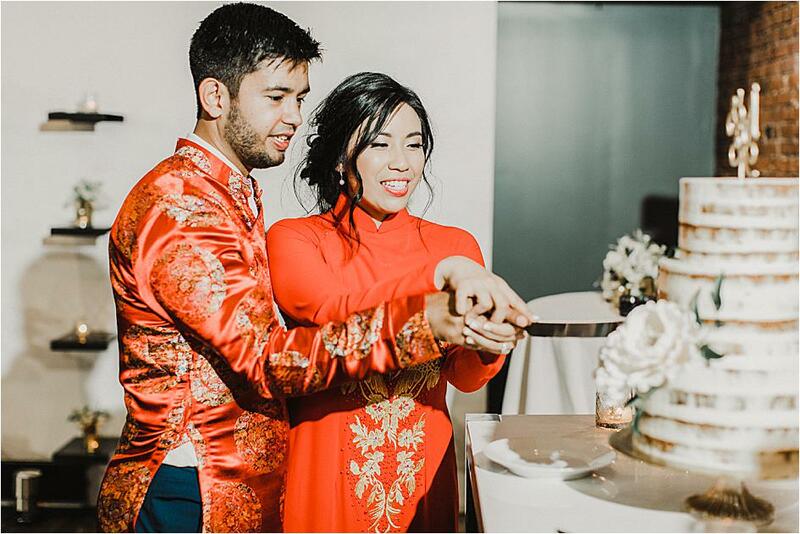 Following dinner, both the bride and groom changed into traditional Vietnamese outfits to celebrate their background and receive traditional gifts. 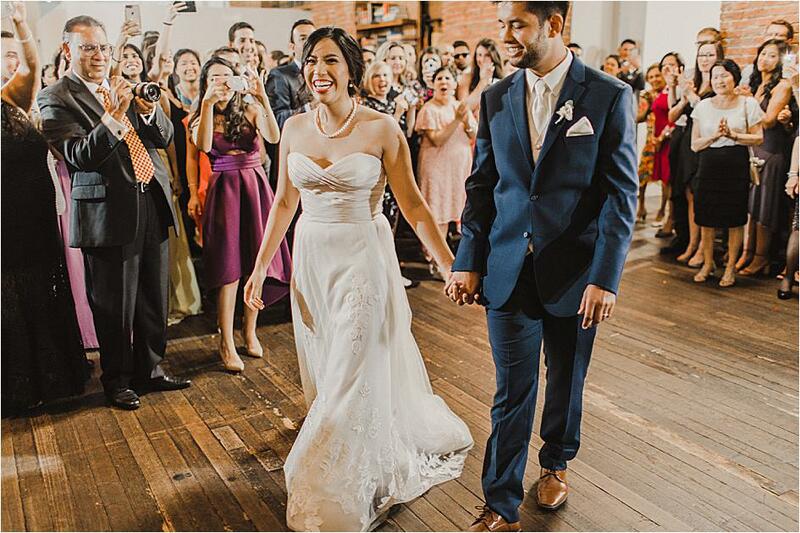 The bride then had one more outfit change; she wore a more form fitting gown with a rhinestone belt to finish out the night." 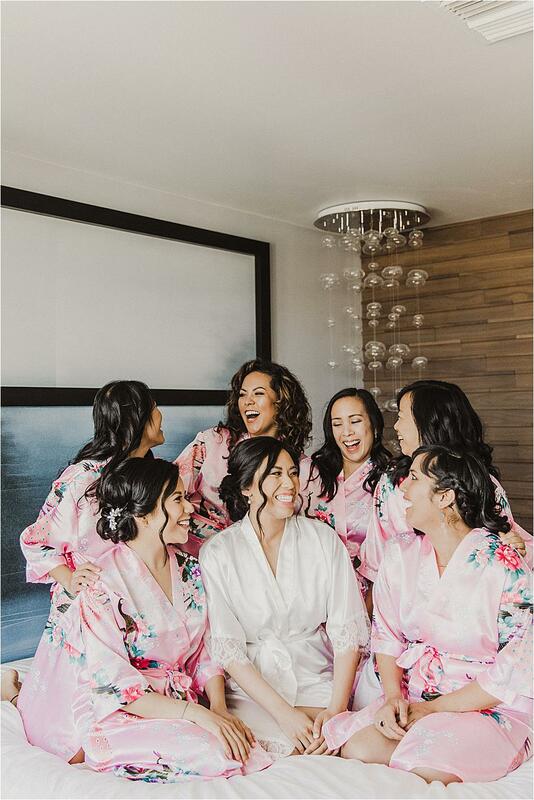 Kelly and Connor's pretty wedding day at the Fairmont Olympic Hotel in Seattle featured all things beautiful. 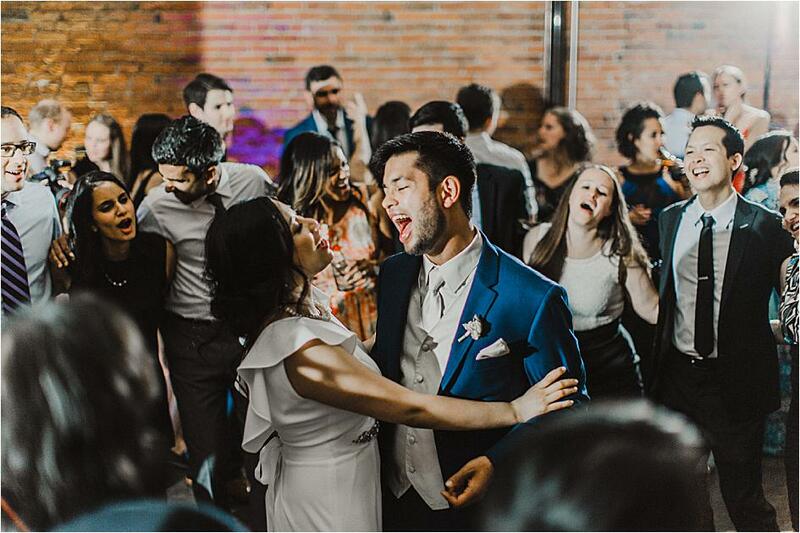 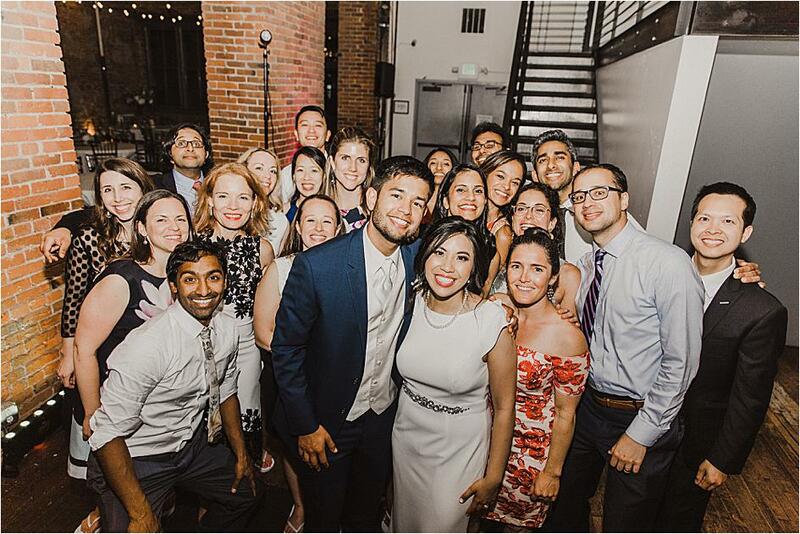 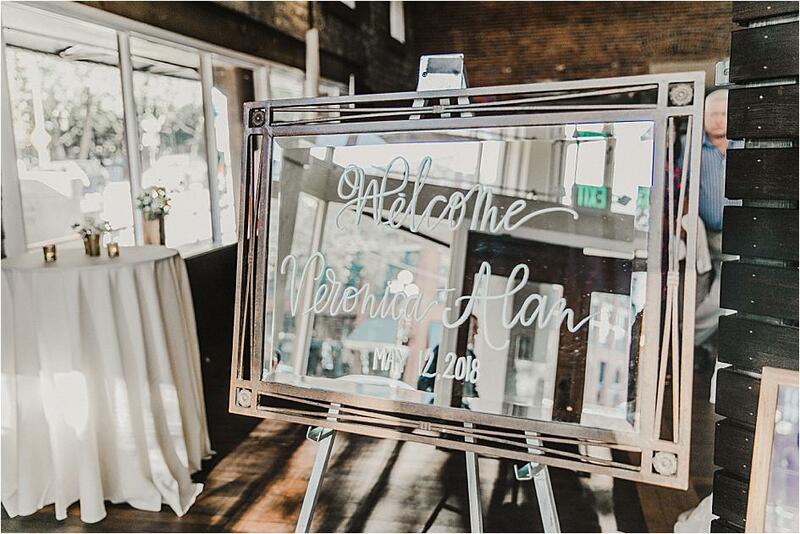 Brooke and Chris first met while working at The University of Washington and later tied the knot during a December wedding affair at The Metropolist in Seattle. 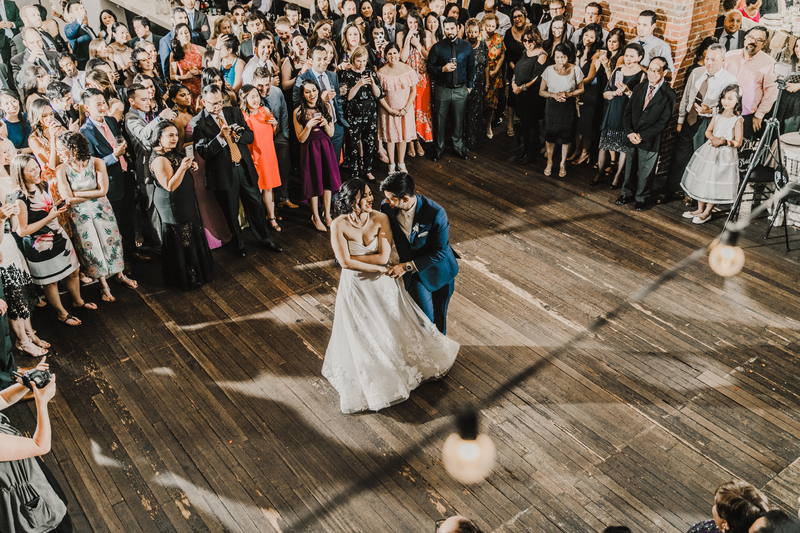 With guests flying in from all over, Samantha Lacy and Leinani “Ili” Wong celebrated their big day at a venue close to their hearts, Almquist Family Winery, where both are employed. 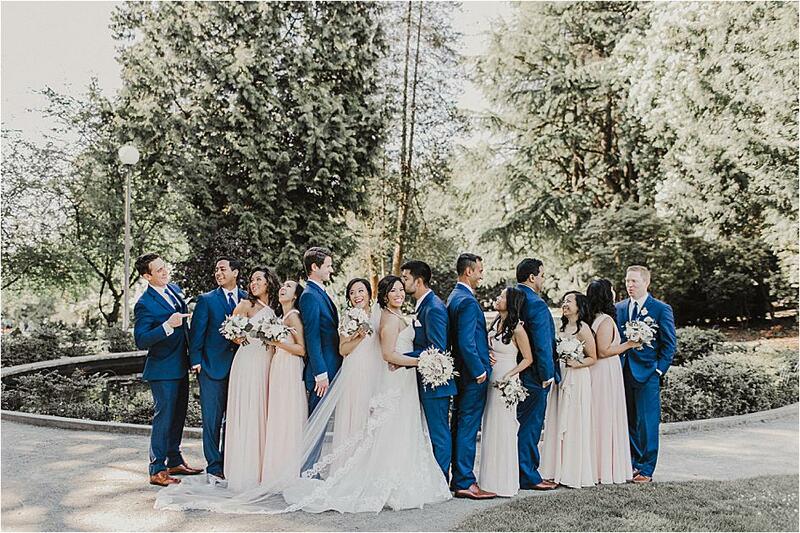 Benna and Vince were wed during a breahtaking wedding ceremony at Trinity Tree Farm in Issaquah.